How do seemingly disparate arenas of Enlightenment philosophy, economic theories, boudoir etiquette, literary styles, and artistic modes coincide in the late eighteenth century? 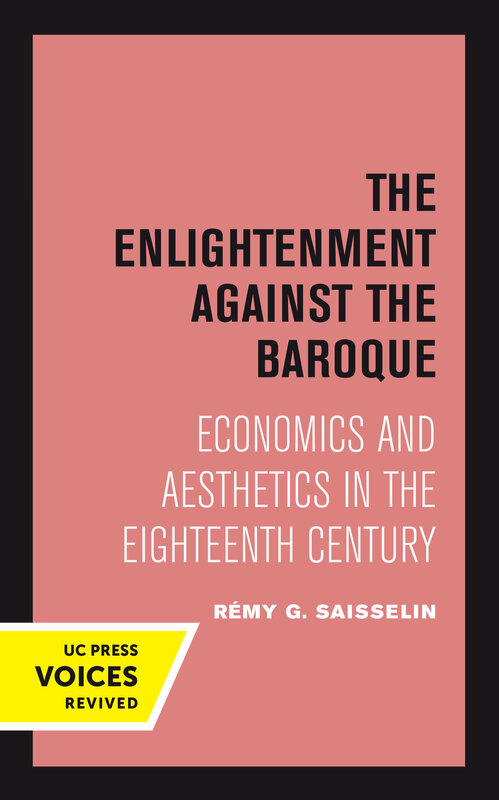 In this poetic essay on the evolution of the idea of luxury and art, Rémy G. Saisselin uses precise, witty examples to describe the development of our modern taste, the successor of the more spiritual and grand baroque goût. His analysis both illuminates and distinguishes between eighteenth-century and modern varieties of conspicuous consumption. This persuasive discourse depicts the rise of luxe as an escape from ennui and shows how, for the first time in European history, a large class of wealthy, leisured people emerged to make art, luxury, and the avoidance of boredom its preoccupation. Saisselin provides an original and lucid picture of the first phases in the emergence of a specifically bourgeois taste. Rémy G. Saisselin was Professor of Humanities at Hobart and William Smith Colleges and Professor of French Literature at the University of Rochester. He is the author of The Bourgeois and the Bibelot and The Literary Enterprise in Eighteenth-Century France.